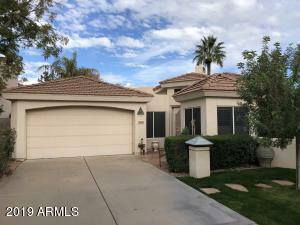 Best lot in the sub? 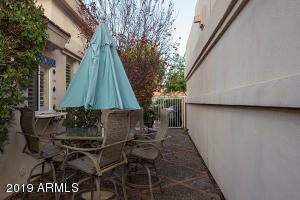 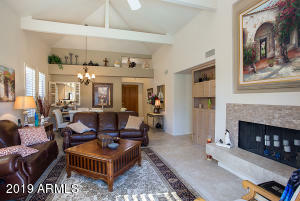 Single level 2/2, 1,514' home nestled on the eastern perimeter with no homes behind. 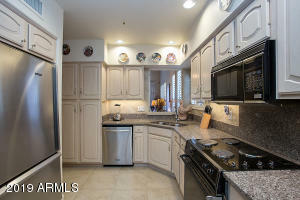 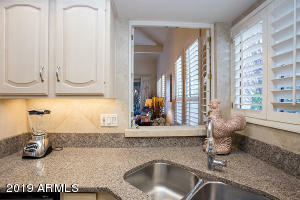 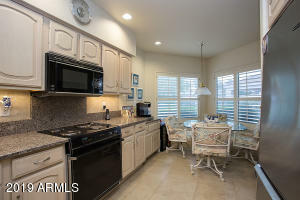 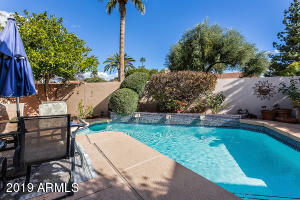 Updated w/granite counters, stainless appliances, tile floors & plantation shutters. 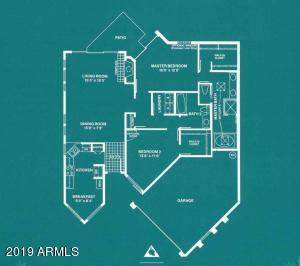 Innovative floor plan w/vaulted ceilings, no steps, finished fireplace, built-ins, walls of glass sliders overlooking the bucolic back patio & private pool. 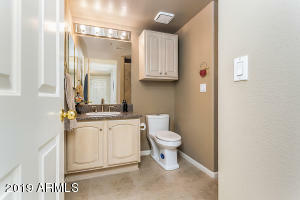 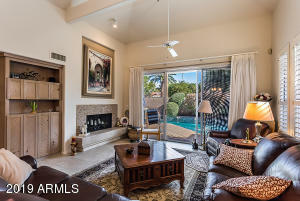 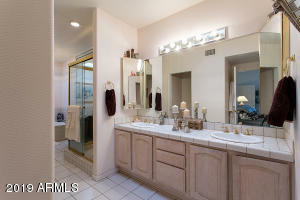 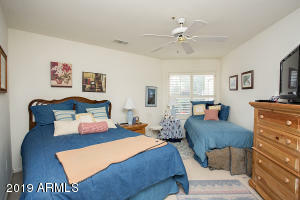 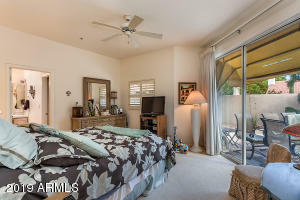 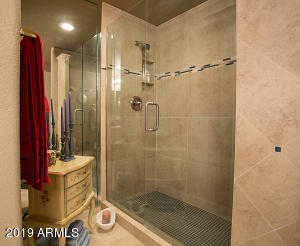 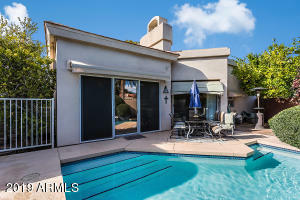 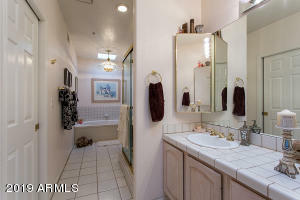 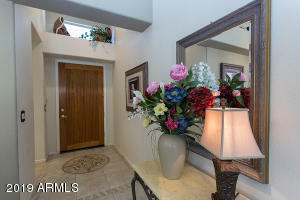 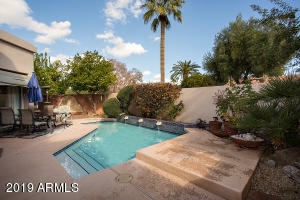 Master suite is split & offers an oversized master bath w/ Jacuzzi tub and large walk-in closet. 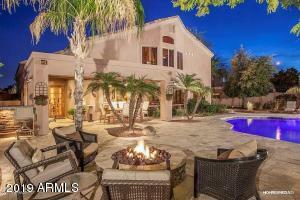 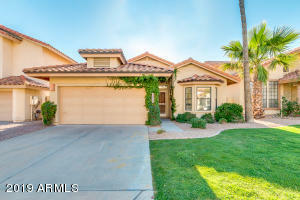 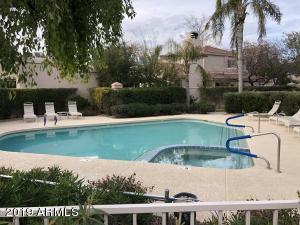 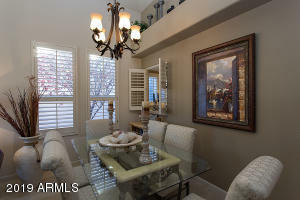 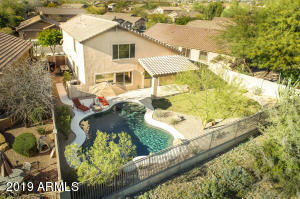 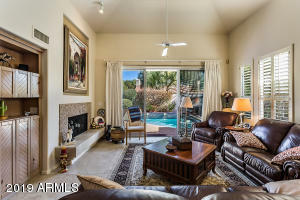 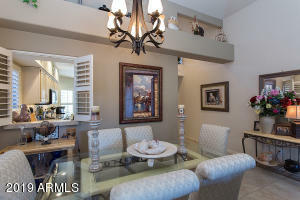 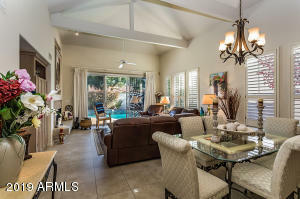 Meridian is one of McCormick Ranch's finest neighborhoods w/gated entry, community pool & spa. 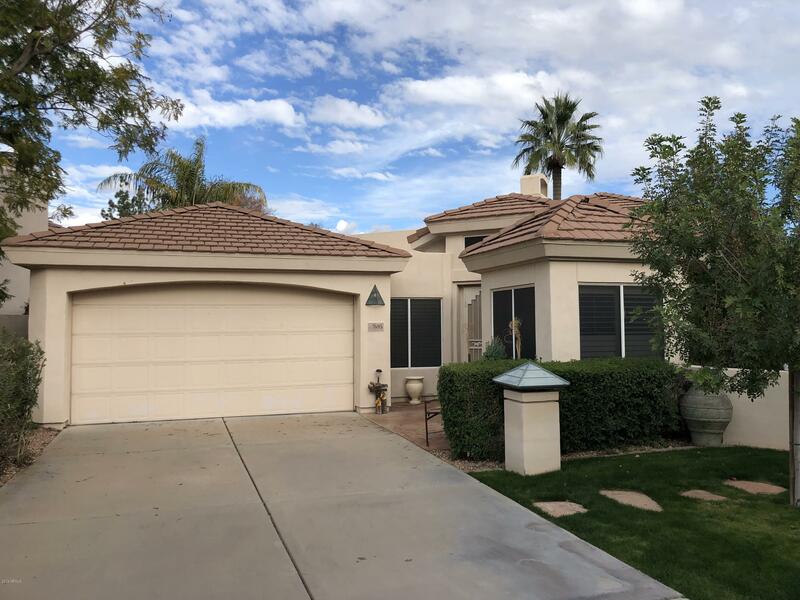 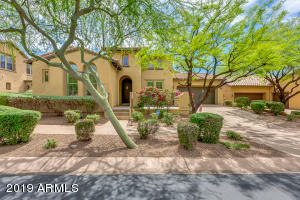 The Camelback walk & bike path is steps away & the Chart House, Gainey Village, Old Town & Fashion Square are all a short drive. 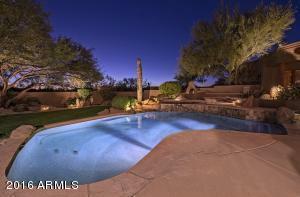 Talking Stick Casino & Ballpark (Rockies & Diamondbacks spring training) are 3+/- miles away. 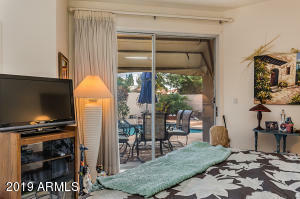 Furniture available by separate sale. 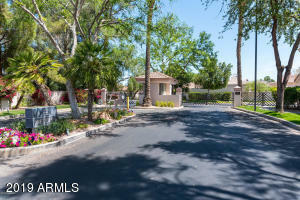 West to N 77th Place, north to entry gate (see gate code), first left inside gate, right (east) on Spanish Oaks to the end of the street.